These days, we’re seeing a lot of new entrants in the smartphone making business, mainly aimed at making budget phones that look good and don’t cost an arm and a leg. Kickstarter is also a popular choice these days to launch these products, and it makes significant sense. 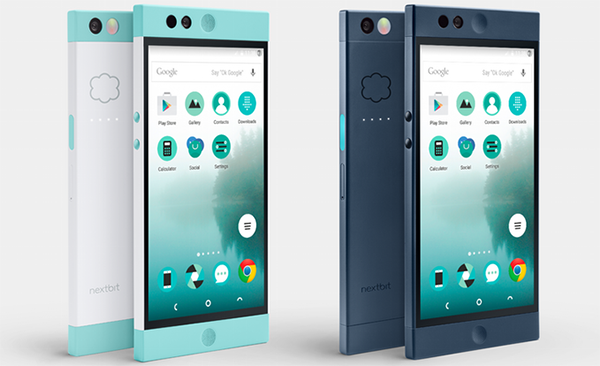 A new project graced the crowd-funding website today with the name of Robin, which is a new smartphone courtesy of Nextbit. However, it stands out from all the rest in several other aspects, and that’s what we’re going to take a look at. First off, Robin is really good looking, despite its unique design. We say unique because it’s rectangular with proper edges, not the round ones that we see on flagships these days. The color choices are cyan+white, and black, and looks slick on the device. Secondly, the specs are top notch, with Android 5.1.1 Lollipop on-board. But that’s not it. What Robin truly emphasizes on is its tight integration with cloud services. 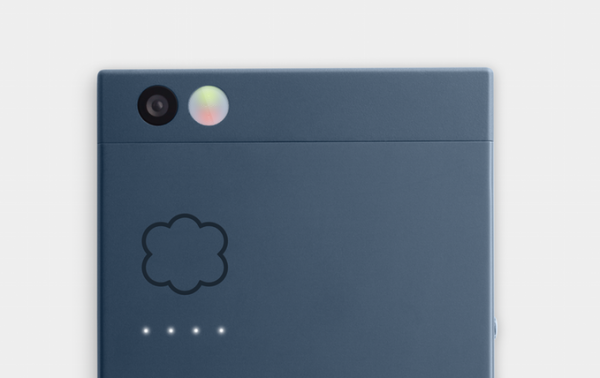 This integration is so tight that the backside of Robin actually has a cloud icon with 4 LEDs that blink to indicate when the phone is syncing with the cloud. The whole idea is to have a phone that basically never runs out of storage space, thanks to its tight integration with the cloud. The makers of the device – Tom Moss and Mike Chan, along with Scott Croyle – are pedigree inventors from Google’s Android project and HTC respectively, and aim to solve the problem of limited storage on today’s modern smartphones. 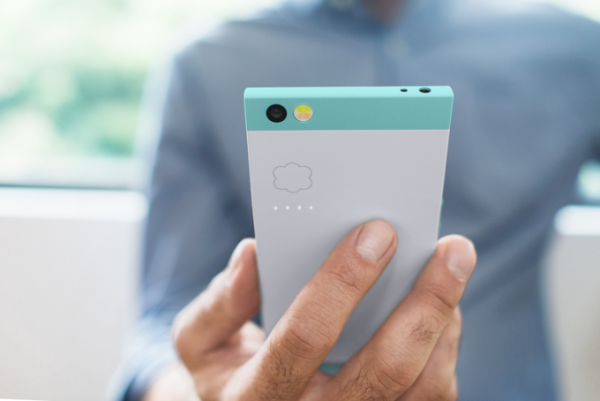 Robin users will get 100GB of free cloud storage courtesy of Nextbit, and more plans can be purchased. The phone will intelligently make space for stuff on your device (which has 32GB of onboard storage, by the way), like deleting APKs if you’re running low on storage while recording a video (and re-downloading when in need), saving photos to the cloud and keeping only shadow copies locally etc. 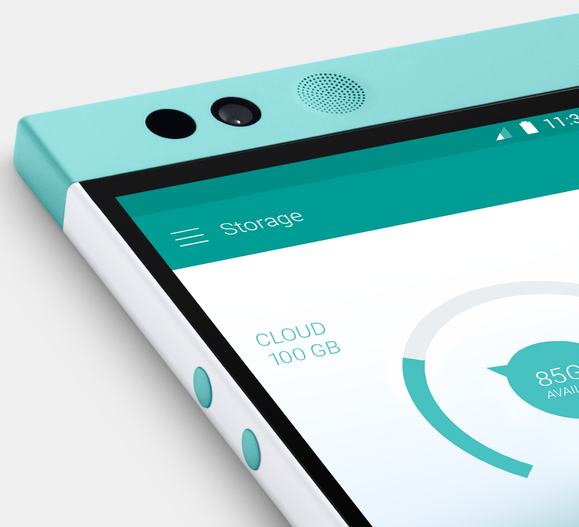 They say the true focus of Robin will be on cloud storage, and ensuring that you don’t ever need another storage medium again. Other specs of the device are fairly high-end. At the heart of the phone, is a Snapdragon 808 processor, 3GB RAM, 32GB in-built storage, a 5.2-inch 1080p IPS display, 4G LTE support, BT 4.0 LE, fingerprint sensor, 13MP/5MP shooters, dual speakers with amplifiers, and a 2680 mAh battery. Nextbit has taken to Kickstarter for this because they hope to get a fair idea of how many units to produce in their first round, which is why their funding goal is a mere $500,000. Otherwise, their vision was powerful enough to garner $18 million through Google Ventures and Accel Partners. Once it becomes available in retail early next year, it will cost $400. So, with data caps of 1-3GB per month what good is this cloud storage ? Not as super as they think. Cloud storage is already offered, nothin special. Google drive, iCloud, etc. People is it designed to sync only via Wi-Fi on default. I agree with Ali nothing special, it’s near to be able to sync full apps to the cloud but that is more sofware then hardware so you shouldn’t need a new phone just to use this feature. The best ՍΝᏞΟᏟΚing site I know is just google atttiphooneuunlocking.